The purpose of this Practice is to provide requirements for design of level instrumentation. This Practice covers requirements for design of differential pressure, displacement, ultrasonic, capacitance, nuclear instruments, and level gauges. 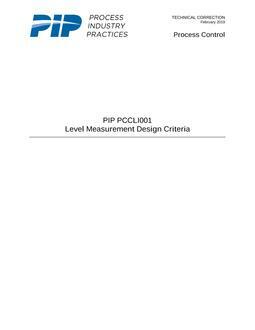 For weighing systems, see PIP PCCWE001. For tank gauging systems, see PIP PCCLI002.